Disclaimer: This post is sponsored by REBBL, but all opinions are my own. Thanks for supporting the brands that I love! I work out a couple hours almost every morning, so I need a satisfying breakfast that can carry me through that workout. One of my favorite breakfasts is overnight oats. They are easy and require no cooking at all. 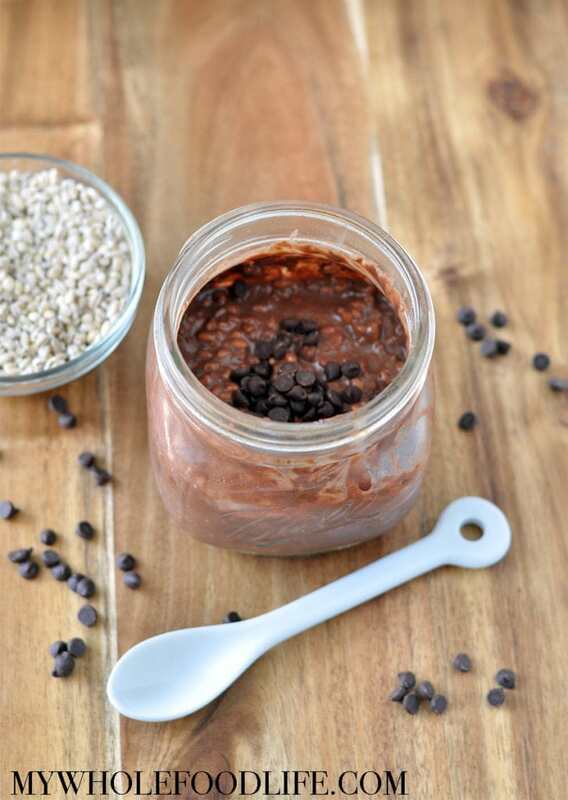 This new Chocolate Protein Overnight Oats makes the perfect pre-workout meal. 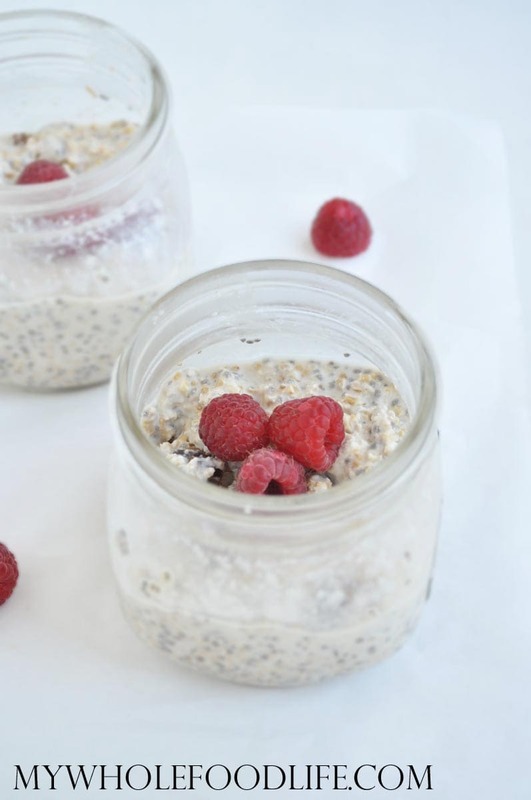 For more overnight oats ideas, check out this post. The thing that makes this recipe high protein is the REBBL Dark Chocolate Protein coconut milk elixir. The protein component comes from all natural ingredients like peas, sunflower seeds and pumpkin. I LOVE that. Most protein drinks on the market have many undesirable ingredients + they use soy as the protein source. REBBL drinks are soy free, dairy free, vegan and gluten free! New overnight oats recipe today! This time it’s Raspberry Cream Overnight Oats. I had some leftover cashew cream from making my No Bake Oatmeal Pies, so I used it to make these Raspberry Cream Overnight Oats. You guys! This one is delicious! If you like the creamy factor of my Cinnamon Roll Overnight Oats, then you will love this new overnight oats recipe! 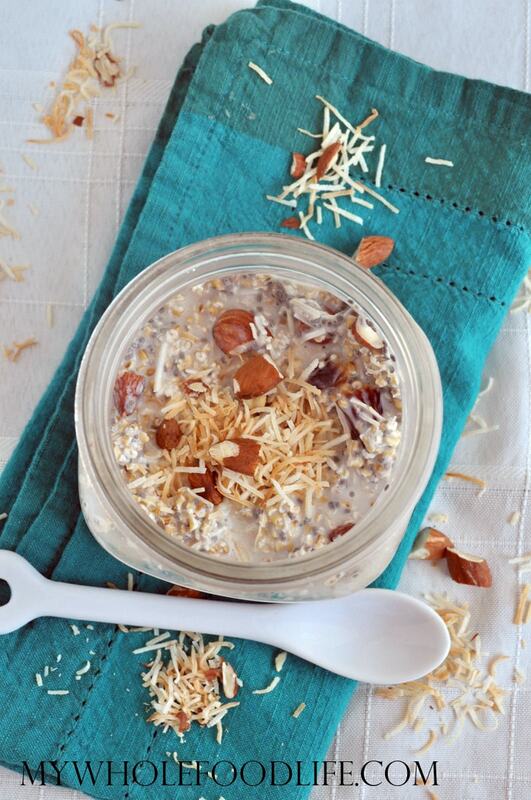 If you haven’t tried overnight oats, this is a great recipe to start with. This is seriously the easiest breakfast you will ever make. No cooking required! Make 5 at a time for easy breakfasts all week. You can heat them up, or eat them cold. I make mine with steel cut oats and I prefer them cold. They remind me of cereal. 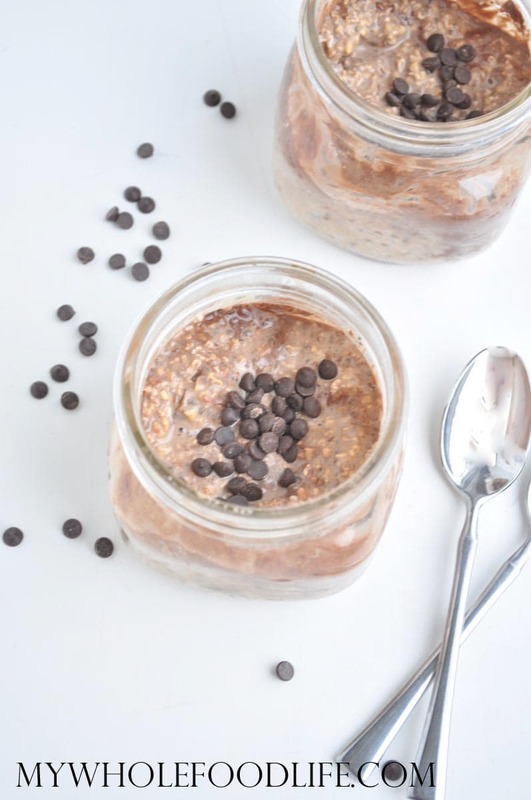 Coffee Chocolate Overnight Oats. 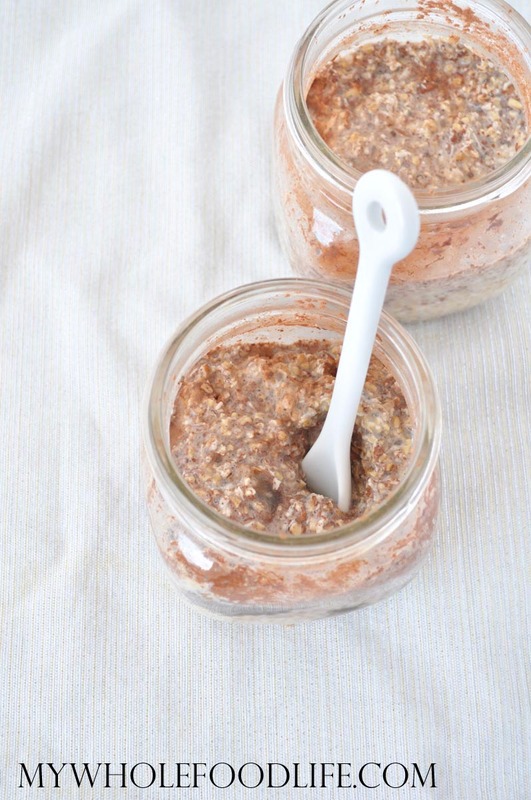 I have another new overnight oats recipe for you! This time it’s coffee chocolate vegan overnight oats. We just moved into my inlaw’s house for the next 10 weeks as we begin our kitchen renovation. I wanted to use my coffee extract in this recipe, but I realized I forgot to pack that and bring it over here. If you haven’t tried overnight oats yet, you need to! They are super easy and so good. You can make 5 at a time for easy breakfasts all week. If you are a fan of coffee flavored treats, you may also like my 3 ingredient coffee popsicles and my chocolate coffee oatmeal bites. German Chocolate Overnight Oats. How would you like some German Chocolate for breakfast? It’s like having dessert, but it’s healthy! The other day, in my Facebook group, I polled everyone for new overnight oats ideas. That is how I got the idea for these German Chocolate Overnight Oats. They are so good!! Recipes like this make healthy eating easy. There is no cooking required and they are great for on the go! It’s like eating chocolate cake for breakfast! 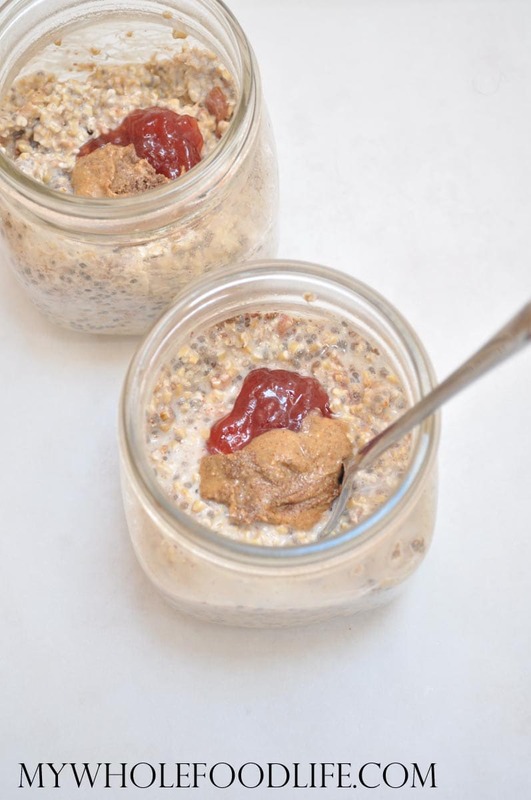 These healthy overnight oats are vegan and gluten free. You can make up to 5 at a time for easy breakfasts all week. Just try them and you will be hooked too! I know I always said the chocolate almond butter was my fave, but this may be a close second!